With a new crop of budding mixologists, eager to showcase their learnings from the past 5 weeks, the stage was set for the final exam for IBC 5. 6 new cocktails from each mixologist, thoughtfully assembled and balanced to a tee… well almost! The vodka, rum, gin, whisky, tequila and brandy cocktails of the evening ranged from simple to complex… here are the highlights! Faye MacLauglan scored well in many categories with her Sage Advice, Heat Wave and Brandy Twist cocktails however she scored highest in the rum category with her Tiki Tea cocktail pictured below. 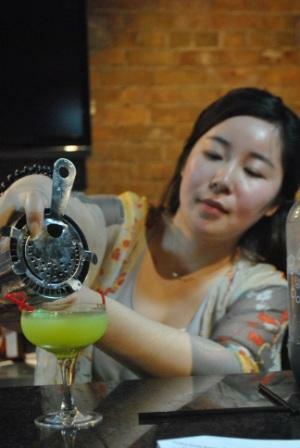 Lili Shi came up with some imaginative cocktails using ingredients that seldom show up on cocktail menus and scored best with Her Gin (Green Teeth) and Whisky (Bite your Heart shown below) cocktails. 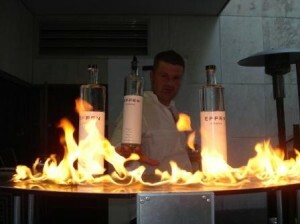 Jordan Sanders came up with some of the most inventive and creative applications for cocktails, including a smoked rum cocktail that had a great flavour, and a lesson about using the right amount of smoke in a cocktail, along with the binding and aroma containing elements of egg whites in a cocktail. Sunny Meng Du tried her hand at some crafty molecular techniques, her Whisky (Sea Salt Whisky Caramel) and Brandy (Nice and Warm) cocktails were both highlights of her flight of drinks. The night turned out to be a night of great cocktails, made from every spirit category. Stay tuned for full recipes coming soon! From Dolphins to Bartenders… How did I get here?!? After a career as a Director of Training for marine mammals and over 4,000 live shows under my belt, I now find myself as the Director of Training at Canada’s Premier Bartender Training School! But now instead of a team of dolphins, sea lions, and seals, I work with a team of some of the most incredible instructors I’ve ever met! They spend their time helping others learn to bartend. I spend my time supporting them and the students who are in their classes. Who could have predicted that I would wind up doing this? Certainly not me! The bartender training we provide is the best anyone has to offer and I constantly find myself smiling just because I get to be part of this! In 1998, which seems like a lifetime ago, I had the pleasure of working with Gavin MacMillan for the first time. We both worked at Canada’s Wonderland and we were both ball-busting managers in our respective areas. 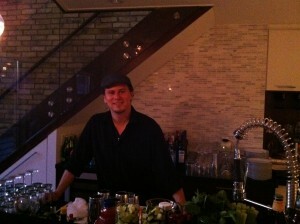 Little did we know that several years later, Gavin would create a bartending school in Toronto called BartenderOne. 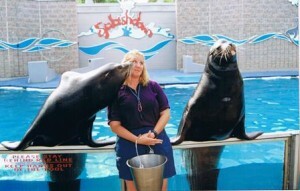 After my career training animals, I went on to be an operations and general manager and then to fundraising and special events management. When the time came and there was an opportunity for me to join this incredible company as the Director of Corporate Events and Training… there was no thought in my mind other than YES! I didn’t know exactly what I was in for but I knew it was gonna be nothing less than fabulous! 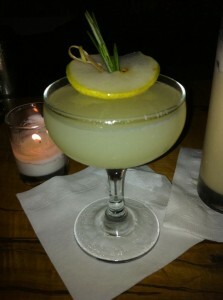 For me, working at BartenderOne is exhausting, in all the right ways. There is so much going on behind the scenes at any given time and I don’t think anyone would know it if they weren’t told. From planning upcoming classes and workshops, to answering calls with questions and taking registrations, to marking and posting test results, to posting classes online and preparing for class… it never stops. Registrations come in 24 hours a day, the phones ring at all hours and the emails never stop. The instructors are in and out of the office, running errands and commuting between our various training locations. 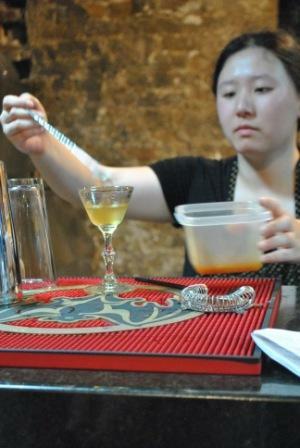 And beyond the time they spend as instructors providing bartender training, they also find time to do special events and to work shifts at their respective bars! At the end of my day I don’t get to work in a bar but instead I go home to my job as a mom and my little bartenders-in-training who are 3 & 6 years old. They practice their flair bartending in the bathtub and as soon as they’re old enough, they’ll be in class and getting ready for flair bartending competitions! There is never a dull moment here since we also do workshops, private events, corporate events and teambuilding events on top of the bartender training that goes on. We have instructors traveling around the country doing flair training right now. We have instructors shuttling back and forth from Ottawa to open our newest location there. Never mind all of the events we are doing! So even though it may seem like we are just doing this bartending school Toronto type stuff… there is so much more to BartenderOne! I love what I get to be a part of here and the amazing team of people I work with. Over the next few weeks I am going to share some more of what goes on behind the scenes at BartenderOne including what it’s like to work with this crew of instructors and the entire B1 team. Andrew, David, Ryan, Krissy, Jeremy, Jay, Jair … even the infamous Gavin! They truly are the best and I’m thrilled to be a part of this team! “Hey, you’re like Tom Cruise in that movie” a line often heard by flair bartenders around the world time and time again! To answer the question, no I am not like Tom Cruise in that movie Cocktail because, like everything else in life, things tend to change and evolve over a quarter century!! You wont find me on Wall Street stopping bankers and saying “Hey you’re like Michael Douglas in that movie” because it would be unfair and ignorant for me to generalize someones profession like that! I will recognize though that flair bartending exists in very small circles and the evolution of flair is quite foreign to anyone who isn’t active in that small community. 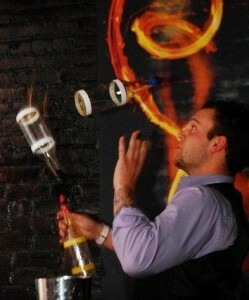 A year ago I entered and competed in my first ever flair competition as a representative of Bartenderone. The competition put on by the Toronto Flair League was truly the most exciting and terrifying experience I have had in my bartending career! After blacking out and somehow managing to struggle my way through my 3 minute routine I made way to the bar for some celebratory shots! As the dust settled over the next few days I was able to see a video of myself and really assess what level I was at and where I went right and wrong! It was then that I truly started to understand the high level of preparation that was required to be a successful flair bartender in a competition setting. My roommate, fellow Bartenderone instructor and flair practice partner Jay Patience and I decided to adopt a new approach to training for competitions. Drawing from our experiences working with former top ranked Canadian flair bartender Gavin MacMillan, Jay and I put into action a plan to become premier competing flair bartenders! The first step was to develop a routine with the perfect balance of technical and innovative moves, smoothness and showmanship! Once the foundation of our routine was in place, we started executing the routines every day for an hour each. Once we had built up our stamina and strength we extended it to 3 hours a day each. The results were immediate and very rewarding! One of the things that helped us immensely was taping our practice routines. Being able to watch the videos and see ourselves during practice allowed us to adjust our routines but more importantly become aware of exactly what we looked like while performing. Once aware of that we were really able to take the showmanship aspect to a new level! The other thing that helped us progress so fast was the use of glass bottles with liquid in them. Its one thing to practice with empty flair practice bottles but it wasn’t until we incorporated the real thing that we truly started to see the results we desired. Consistent practice of a well-balanced routine coupled with the usage of real full bottles thrust Jay and I into the category of up and coming flair bartenders in Toronto. Just like everything in life, consistent practice and a clear goal/vision will more often than not help you succeed. Tom Cruise who? 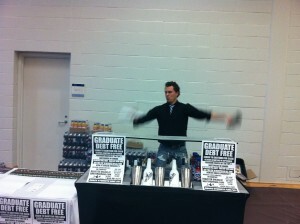 Recently Bartenderone launched its University Tour initiative up at Brock University’s 2011 Vendor Fair. About 5 years ago we tested the water at Guelph University with a two day condensed version of the Bartenderone Masterclass and it was a great success. 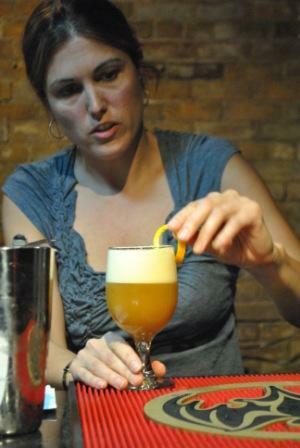 Since then the Bartenderone Masterclass has quickly evolved into the most sought after bartending certificate in Canada. What makes Bartenderone different? What makes them better than the competition? Unlike other bartending schools, Bartenderone’s focus is not on trying spirits and drinks and leaving class “half in the bag” and unable to retain any information that you learned. The focus is on understanding spirit profiles and executing cocktails with the concepts of synergy, accuracy, and speed being the main emphasis. Sprinkle in some valuable wine knowledge and high impact, low risk flair techniques and our graduates are better prepared than any others entering into the hospitality industry. Being a University graduate myself I can understand and relate to the day to day financial struggles of a student with a full course load. Entering my second year at Guelph University my steady diet of Chunky soup and Mr. Noodles became very tiresome and I was becoming very weary of my increasing student debt. Like most other students my only solution was to find a part time job to assist me with my problem. While home for Christmas break I attended bartending school in Toronto at Bartenderone and became one of the first graduates of the program. This certification allowed me to go back to Guelph and immediately find a job barbacking. Although I wasn’t making “rockstar” bartender money at first, barbacking was a great stepping stone for me and put a steady flow of money in my pocket to help me survive. By third year, after a lot of hardwork and patience, I was bartending 3 nights a week and paying my rent in one week worth of tips! All of a sudden I had a large amount of disposable income at my fingertips and the prospect of eliminating my student debt while still a student became a very real possibility! Being very conscious of the poor spending habits of my past I put in place a very simple plan to save money that I learned while attending bartending school. 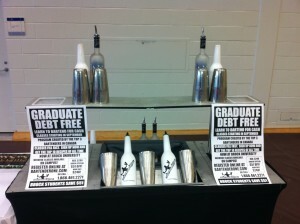 The result was one year of barbacking, two years of high volume bartending experience, and zero student debt when I graduated! There are many part-time jobs available to post secondary students but none of them compare to the potential money you can make once you work in a tip friendly environment! 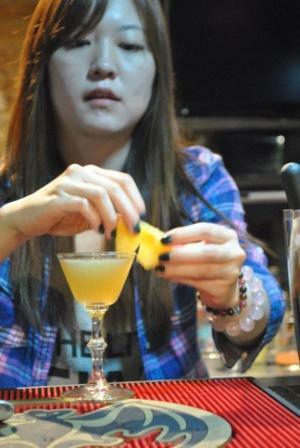 Bartending proved so lucrative for me that I became a full-time instructor and mixologist with Bartenderone. Work smarter not harder! 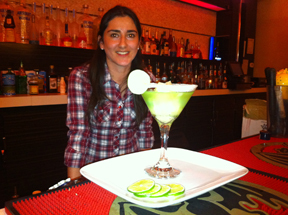 In the world of bartending, nothing is more exciting than flair bartending. Yet in the same breath, nothing has more of a negative image attached to it as well. 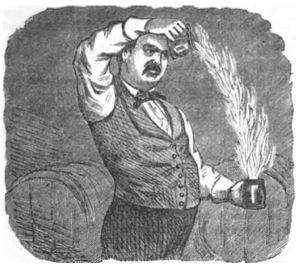 The first record of flair bartending is accredited to “The Professor” Jerry Thomas from San Francisco, who in the mid 1800’s included some flair in his Blue Blazer cocktail by rolling flaming Scotch from one mug to another. The late 1980’s saw a big boost in the number of flair bartenders after Tom Cruise’s character Brian Flanagan wowed his guests from behind the bar in the movie Cocktail. So with all the excitement, why all the negativity? Time again for another Toronto Flair League update. 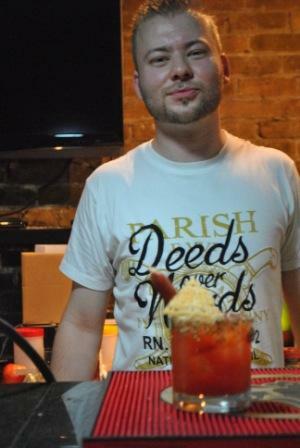 All of the previous TFL competitions had been held on a Monday or Tuesday, (aka bartenders weekend) so that all flair bartenders could compete. 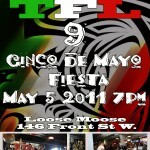 The promoters of the Toronto Flair League have felt some pressure from he general public to host a competition on a Thursday, or Friday night so that the nine to fivers would have an opportunity to witness a flair bartending competition up close. 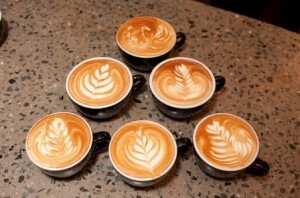 Coffee, Caffe, Café! It doesn’t matter where you come from or how you say it: If there is one thing I can’t go a morning with out this would be it. It’s a good thing I live in the Café rich city of Toronto.